This is a Python book for GIS professionals who have a basic knowledge of Python or another programming language and want to optimize their workflows with Python. 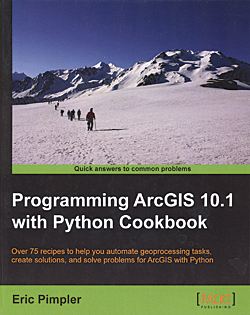 The recipes in Programming ArcGIS 10.1 with Python Cookbook will teach them how to create geoprocessing scripts with ArcPy, customize, create time-saving tools and scripts for ArcGIS, and modify ArcGIS with Python. Using these techniques will make GIS professionals more effective and efficient by automating geoprocessing tasks, better managing map documents and layers, finding and fixing broken data links, and editing data in feature classes and tables. After introducing the fundamentals of Python programming using ArcPy in the ArcGIS environment, the book covers specific ArcGIS scripting for managing map document layers, automating map production and printing, finding and fixing broken data sources, and working with feature classes and tables. The next chapters deal with executing geoprocessing tools from scripts; creating custom geoprocessing tools; querying and selecting data; manipulating tables; and describing GIS data. 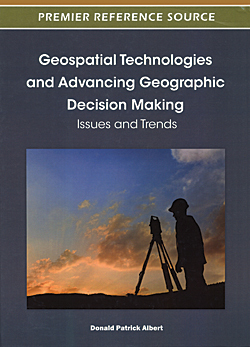 The final chapters introduce customizing ArcGIS with add-ins and error handling and troubleshooting.